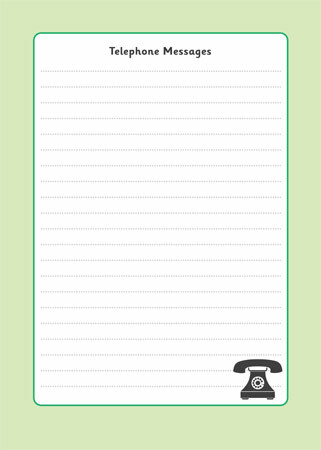 A set of A4 sheets entitled ‘Telephone Messages’, ideal for using as part of a variety of role-play scenarios including a doctors surgery, an opticians, a police station and a travel agency. A collection of 16 photographs of different breeds of dog. A large veterinary clinic role-play banner / sign.